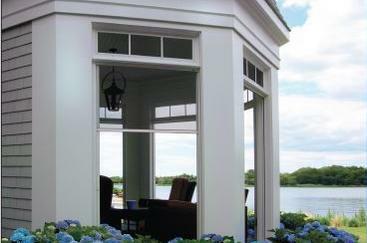 Pull Down Retractable Screens are the ideal solution for enclosing a porch, lanai, gazebo or any opening up to 192" wide and 96" tall. The Shade stays out of sight in their aluminum housing until they are needed. No spring cleaning required as the screen material stays protected from the elements until they are desired. Simply pull down the Shade with the handle or use the supplied pull chain and enjoy the pest-free living!